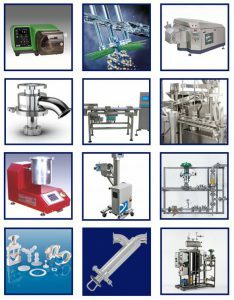 Scott Process Equipment Corp, representing premier manufacturers, offers a robust product line, helping customers in the plastic and polymer industry solve design problems. Honest, straight-forward and service-oriented professionals committed to their customers, the sales team is focused on finding the right process equipment or an integrated system for each unique application. Engineers first, with decades of experience ensures their knowledge of equipment and the plastic and polymer industry. Key drivers impacting global growth of the polymer market include sustainability, reshoring, and shale play. Industry issues range from the need to test polymers; the correlation of lab values to online production; and the impact of melt flow index and viscosity on part quality and profitability. It has never been more important to be assured your extruder and plastic processing is running in specification. Whether it is confirming raw material quality, monitoring and controlling pressure or verifying process settings, we can help you optimize your profit with enhanced process. Your Engineering and Process Equipment Resource.